When you look for a company that sells doors, you should look beyond the price and features. You should also review their warranty. Warranties protect you from defects and get you additional service and other offerings that improve your experience with a particular brand. Here are some of the reasons warranties are important. They allow you to get a refund or an item of equivalent value in return for defective products. They protect you from fraudulent claims made by a company. You may get extra services, such as installation, repairs, maintenance and other similar value-adding features when you make a purchase. Depending on the length of the warranty, you may get a replacement or continuous service for years. These are just some of the reasons warranties are important when selecting a door and windows company to replace, repair or maintain a product. 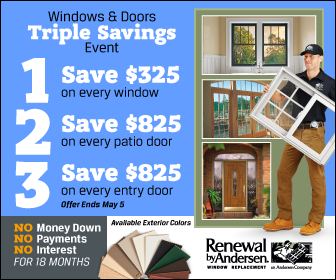 When you talk about customer-centered warranties, Renewal by Andersen® is a company at the forefront. We focus on the satisfaction of our customers and want to provide only the highest quality services and products. Our products are the result of long years of research. Recently, we tested the products we installed on a house more than a decade ago. Our little experiment revealed that the windows still work perfectly and look the same despite the years and the weather they have gone through. We make sure you get the best possible products for replacement windows. We have warranties that show we care about our customers, but we also want to provide items that are long-lasting, of the highest quality, and meet the needs of consumers. If you want to get more details about the products and services we offer, contact us at (314) 332-2364 for St. Louis residents. We serve the St. Louis and Chesterfield, MO, areas as well as nearby Missouri communities.